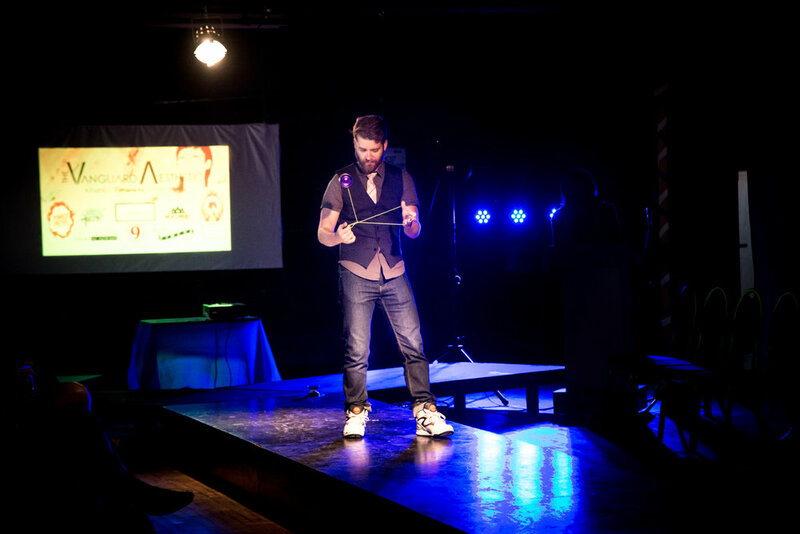 The YoYo Show is a 30 minute presentation by Blake Black, and is an especially great show for birthday parties, festivals, and fairs. Blake's show is a unique treat filled with dangerous yoyo tricks, rolla bolla, comedy, audience participation and sometime he even brings his cute pup Emmett along, to show off his tricks too. Blake is also a fantastic Emcee! You'll find him playing ring master and stilt walker at MoonDrop Events throughout the year.